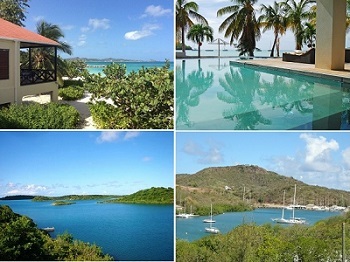 CaribbeanSTAY is the prime portal site for travel to the Caribbean. We cover all Caribbean islands and most Mid - and South American countries bordering the Caribbean Sea. We strive to provide comprehensive information on hotels, resorts, private villa's, airlines, car rentals, cruise lines, restaurants and entertainment. caribbeanSTAY is updated daily. We present you all the information you need to select your destination, type of travel, accomodation, restaurants, entertainment and things to do. The islands of the Caribbean Sea or West Indies are an extensive archipelago in the far west of the Atlantic Ocean, mostly strung between North and South America. They've long been known as a resort vacation destination for honeymooners and retirees, but a small movement toward eco-tourism and backpacking has started to open up the Caribbean to more independent travel. With year-round good weather (with the occasional but sometimes serious exception of hurricane season in the late summer and early fall), promotional air fares from Europe and North America, and hundreds of islands to explore, the Caribbean offers something for almost everyone. Shop at Exotic Antigua and receive 20% off selected items! Offer valid until Saturday, September 5.
is a 1 bedroom cottage located on a secluded beach near Johnson’s Point village, on the Southwest corner. is an intimate hotel situated close to Dickenson Bay. All rooms are air conditioned with Cable TV and Internet. has a rich history of providing dependable real estate services to its clients. With over 20 years of existence. Etiam ultricies nisi vel augue. Curabitur ullamcorper ultricies nisi. Nam eget dui. Etiam rhoncus. Etiam rhoncus. Etiam rhoncus. Etiam rhoncus. Etiam rhoncus. Etiam rhoncus.